EUROCAE is launching a Call for Participation to inform interested parties about an activity to be launched shortly and provides a possibility to nominate project participants. Registration forms are available at https://eurocae.typeform.com/to/gd558J with a deadline of Friday, 10 November 2017. EUROCAE WG-105 (Unmanned Aircraft Systems – UAS) develops standards and guidance material to ensure the safety and regularity of operations with unmanned aircraft. The ultimate goal is to enable safe access of all types of UAS to all types of airspace at all times. One of the key elements of small UAS operation in the open and specific categories is to enable safe integration in the national airspace. This calls for a reliable UAS traffic management (UTM) system that, with minimal or no human intervention, provides services such as dynamic geo-fencing, identification, secure UAS operations, weather alerts, contingency management, route planning etc. In order to build a UTM system that can cater to wide range of small UAS with varying performance capabilities, standardized methods of providing UAS services become critical. Following the analysis of regulations and guidance related to the emerging UTM and Very Low level (VLL) operations, WG-105 has identified the need for the development of such standards in geo-fencing – providing the Remote Pilot (RP) with information related to the UA position and its airspace environment, and limiting the access of the UA to certain areas. The suggested approach follows the ED-78A paradigm and, as per the latest Terms of Reference of WG-105, will develop documents like MASPS (Minimum Aviation System Performance Specification) and MOPS (Minimum Operational Performance Standards). A key axis of the standards is the facilitation of the integration of small UAS into the general air traffic. This will require discussions and contacts with various stakeholders in the European aeronautics community such as EASA, SESAR, with a particular consideration of the U-Space concept and the EASA NPA 2017-05. Contacts with some of the mentioned stakeholders have already been conducted, with further contacts to be expected in the following months and throughout the duration of the standard specification. Further coordination with the other WG-105 focus teams such as Detect & Avoid (DAA), C3&S (Command, Control, Communication & Security), and SORA (Specific Operation Risk Assessment) will be established to consider their requirements/ constraints for open/specific category operations and their impact on the geo-fencing capabilities. The UTM Focus Team will address the development of standards for geo-fencing, associated with the operation of small UAS traffic in VLL conditions. 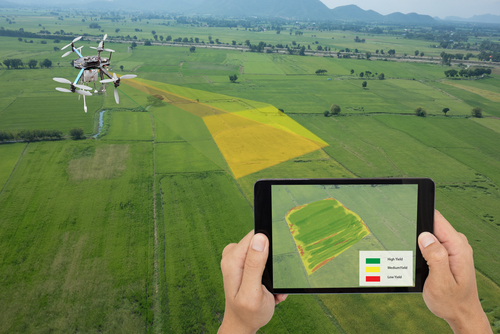 It focusses on the standardisation of the required UAS enabling elements common to any kind of small UAS operation in the open and specific categories. The UTM Focus Team will be directed explicitly at developing a set of standards that will be aligned with the requirements of EASA open/specific categories and with the U-space concept, as proposed in the SESAR JU work on ATM MP Addendum. * Additional functionality if deemed important as a result of the overall activity of the FT.
* ANSP and Remote pilot.